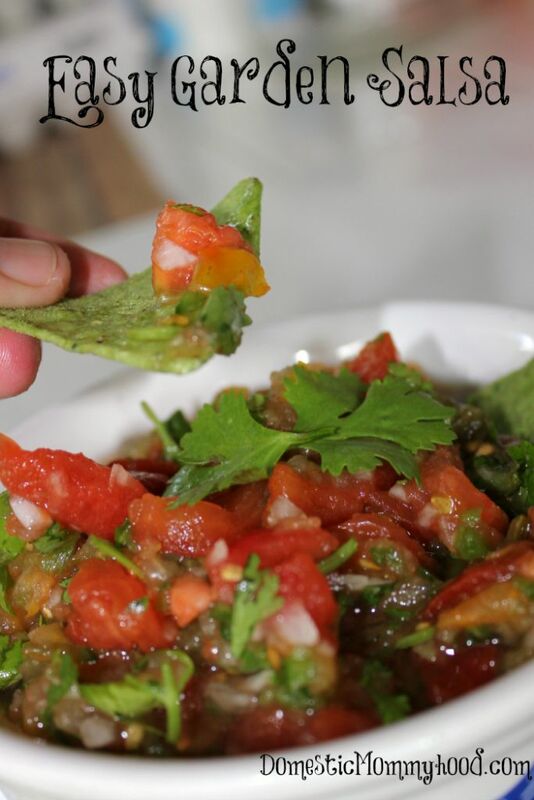 I know I’m a little late posting this one but this easy garden salsa recipe is so delicious you just HAVE to try it!!! It’s using all fresh ingredients from the garden and the taste is so crisp and refreshing! The cilantro is what really knocks it out of the ballpark. So if your garden is still producing run out and grab your ingredients and let’s get to making it! Grab a large bowl and cutting board and get all your veggies out for cutting. I always like to take the skin off the tomatoes but the choice is up to you, some people do like the skin off. An easy way to peel the tomatoes is to place them into a pan of boiling water for a few minutes and pull them out and set aside to cool off. The skin should pull right away. Cut all of your vegetables into bite size pieces and place in a large bowl. Cut cilantro up and add to the mix. Add in the juice of both limes and stir well. Place in the fridge to marinate for at least 5 hours or over night. 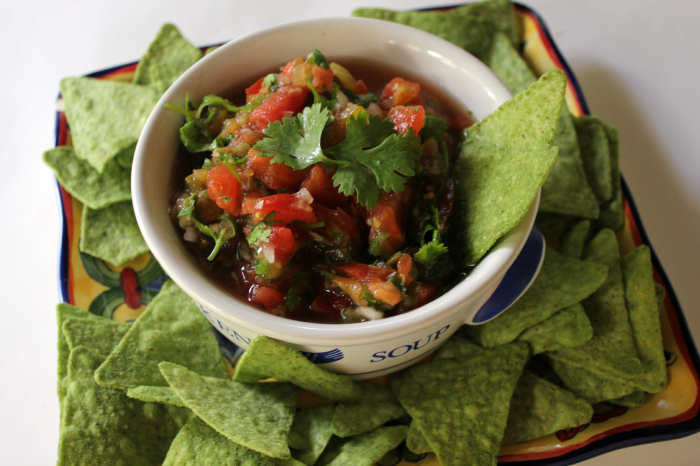 Did you like the easy garden salsa recipe? Leave me a comment and let me know what you think!